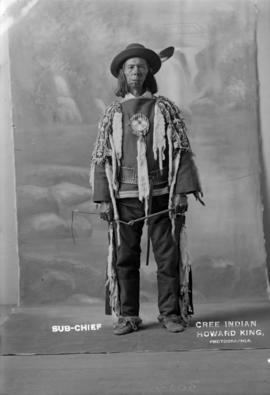 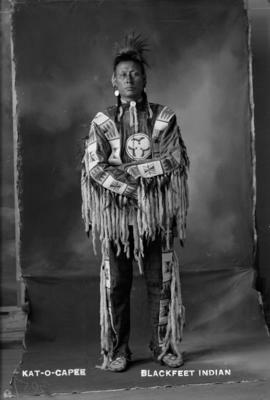 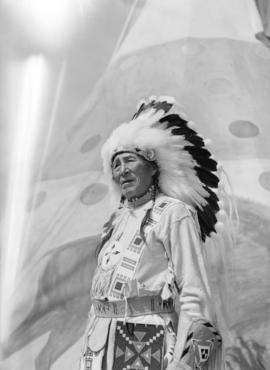 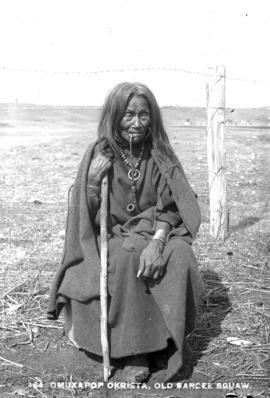 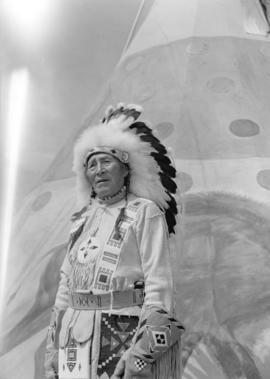 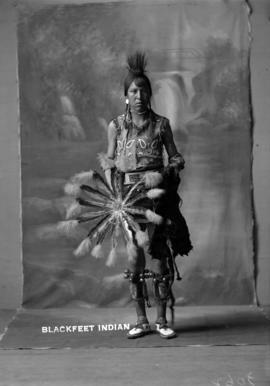 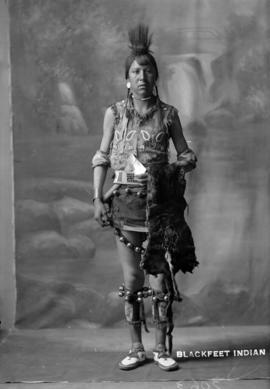 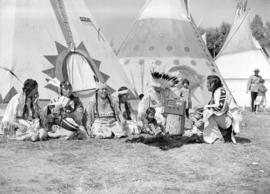 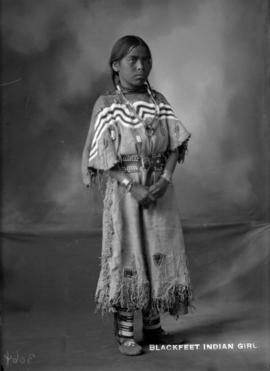 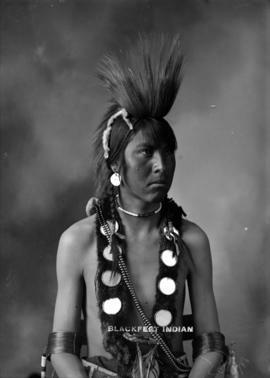 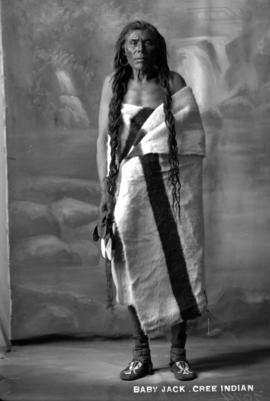 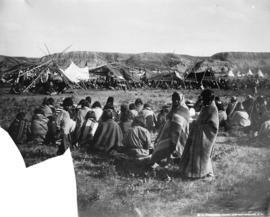 "The Camp" showing sitting figure at Great Indian Sun Dance, Blackfoot Reserve, Gleichen, N.W.T. 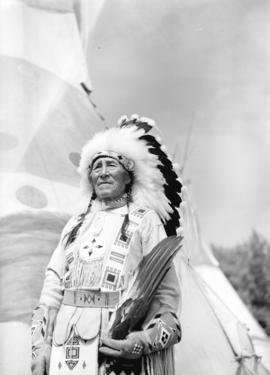 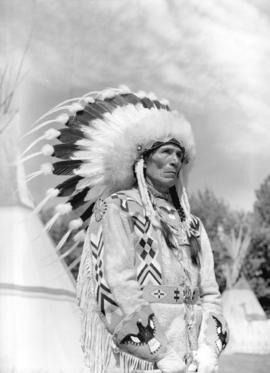 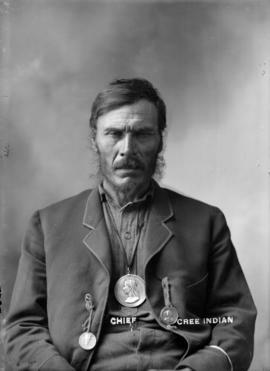 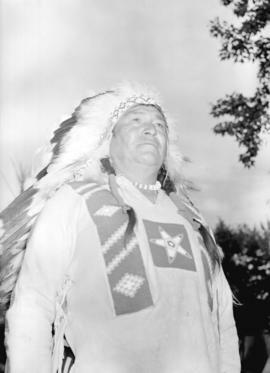 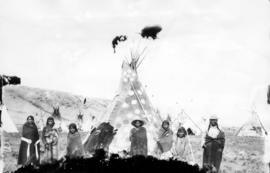 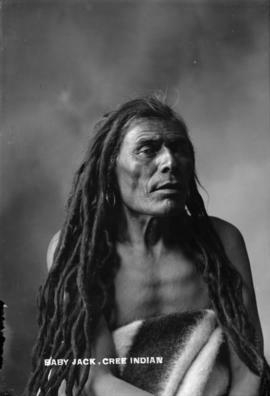 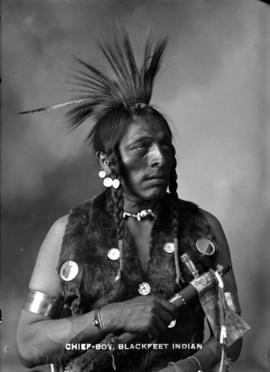 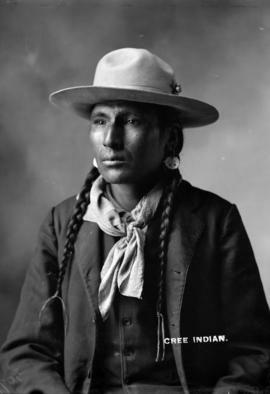 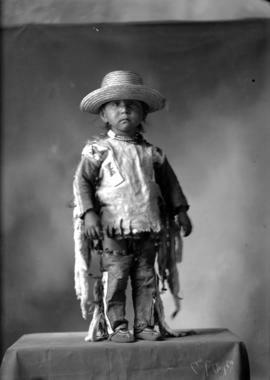 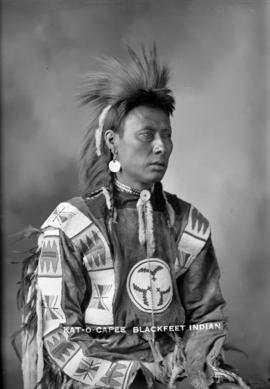 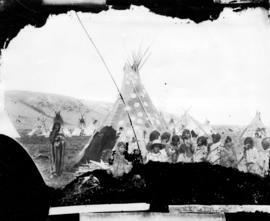 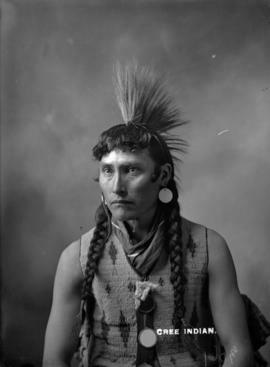 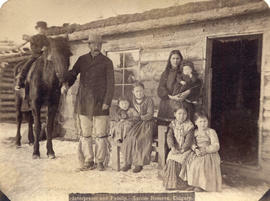 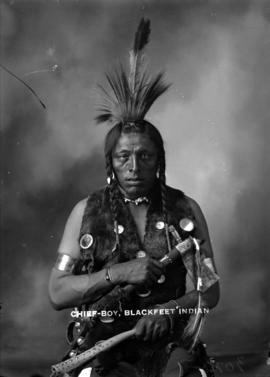 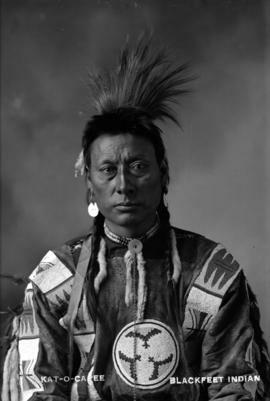 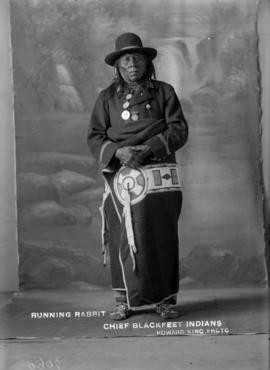 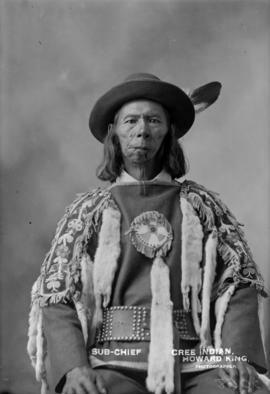 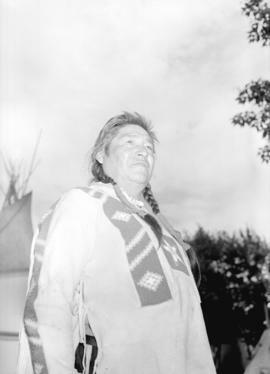 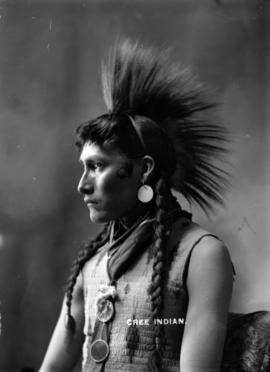 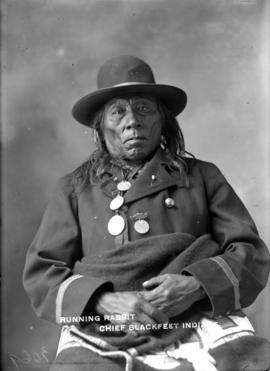 Photograph negative is a copy of a photograph print of a man standing outside a teepee. 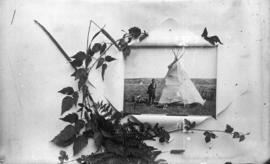 Photograph print is surrounded by various types of foliage. 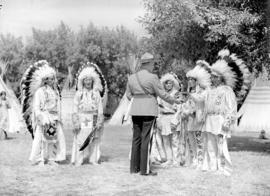 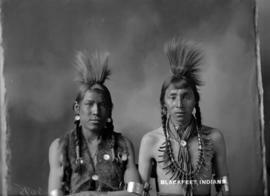 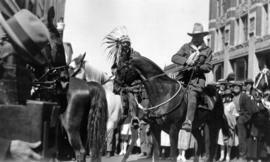 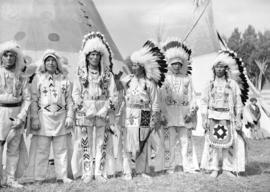 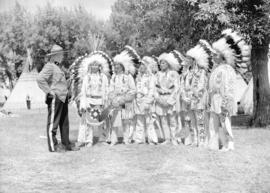 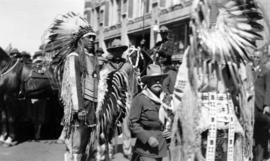 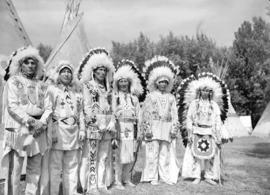 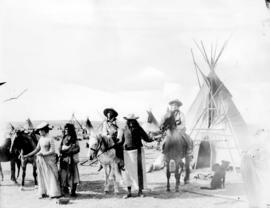 Group of Blackfeet Indians and Mounted Police, Gleichen, N.W.T. 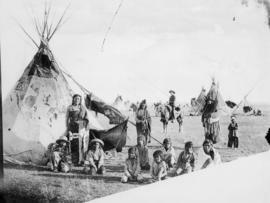 Group of Indians, tepees at Sun Dance, Gleichen, N.W.T. 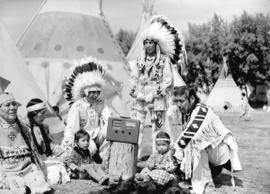 Indian children, Sun Dance, Gleichen, N.W.T. 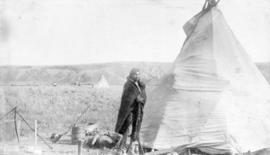 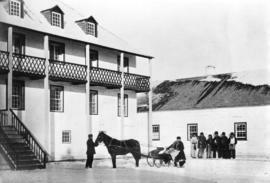 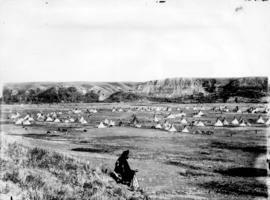 Sarcee Indians moving camp, Calgary, N.W.T. 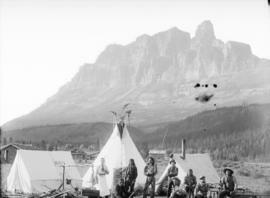 Survey party, Castle Mountain, Albt., Rocky Mts. 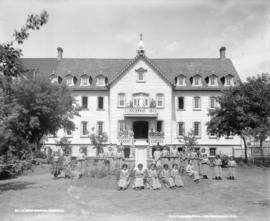 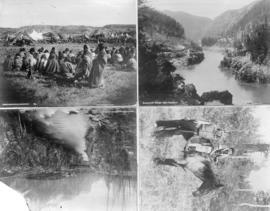 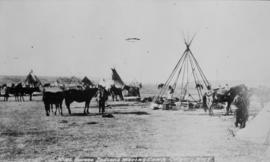 Photograph shows a group of men assembled in front of tents in valley.